Try to be one of those people in Ramadan. The sunnah of praying at night established by the Prophet and then organized by Umar has continued from their time until today in Makkah and Medina. Mosques around the world gather for prayer behind their local imams as well. Its important to take into consideration how the prayers are organized In Makkah and Medina when going there during Ramadan. When in Makkah, its important to remember that Tawaf does not stop during Taraweeh. If you arrive and want to start your Umra, you can reasonably make Tawaf, stop and pray some or all of Taraweeh, then complete your Umra. Keep in mind that prayer times change slightly during Ramadan in Makkah and Medina. Outside of Ramadan, Isha is fixed at 90 minutes after the Adhan of Maghrib. In Ramadan, the Adhan of Isha is 2 hours after the Adhan of Maghrib. This gives everyone breaking their fast time to do so, wash up, make Wudu, and arrive to the mosque for prayer. In the first 20 days of Ramadan, if you are in your hotel and unable to make it to the Mosque for Maghrib, as long as you arrive 45-60 minutes before Isha, you’ll be able to find a spot inside the mosque to pray. In the last ten nights, you’ll have to break fast inside the Mosque in order to keep a comfortable spot to pray in for Tarawih. That means in the last ten nights, you’ll have leave away from your hotel for at least 3-4 hours before returning in the evening. This means you’ll use the restrooms and wudu areas at the Masjids, which are extremely convenient and well-kept. Qiyam al-Layl, as mentioned previously, is simply the optional prayers said after Isha. During Ramadan, people pray Tarawih – a type of Qiyam al-Layl. The phrase “Qiyam al-Layl” or simply “Qiyam” is also used for another prayer gathering in the last ten nights of Ramadan. After praying Tarawih, the Imam will not pray Witr and then come back in the third part of the night to pray extra prayers, and then finish with Witr before Fajr. They are prayed just like Tarawih, in units of two with rests in between each prayer. 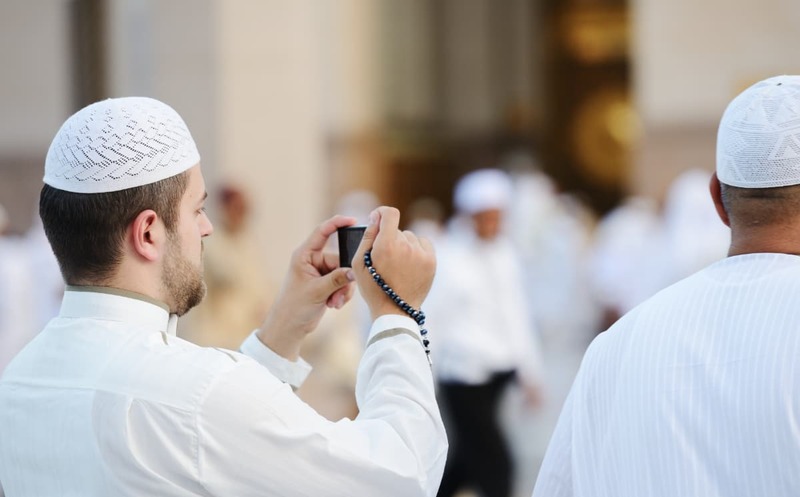 The Imam will typically recite slower in these prayers, and generally will recite selections from the Quran instead of recites its chapters chronologically, which is typical in Tarawih. These prayers have the same reward as Tarawih, and are great if you can join the congregation and pray them. If, while you are traveling, you have to choose between which to pray, then its better to get rest immediately after Isha and then join the congregation in the mosque for Qiyam, as the time in which these prayers are prayed is considered more virtuous.